New Zealand 8-419 (Corey Anderson 116, Kane Williamson 62, BJ Watling 59*, Shakib Al Hasan 5-97) leads Bangladesh 282 (Tamim Iqbal 95, Mominul Haque 47, Neil Wagner 5-64) by 137 runs with two wickets still in hand. The hosts managed 282 runs in their first innings and the visitors piled up 419 for the loss of eight wickets in 133 overs. The third day’s play finished on Wednesday, October 23, 2013, at Shere Bangla National Stadium, Mirpur. Earlier, the Black Caps started the day at 3-107 in 33.3 overs with Ross Taylor and Kane Williamson batting on 37 and 28 runs. 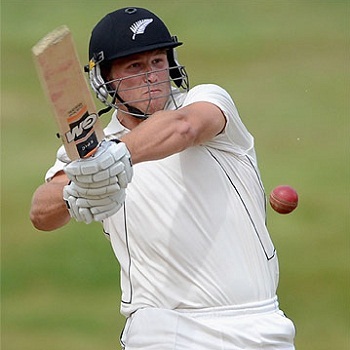 Taylor attained his 21st Test fifty, was gone three runs later and was replaced by Corey Anderson. The latter was the most aggressive of the two, carried on batting smoothly and went past his Test half century in the process. Kane Williamson achieved his 10th Test fifty and the home bowlers found it difficult to dislodge the partnership. Anderson powered his first Test ton with another boundary and Williamson was gone for 62 after accumulating 140 runs for the fifth wicket with Anderson. The incoming batsman, BJ Watling, took his time to settle down whereas Corey Anderson lost his wicket for 116 off 173 balls with 2 lofty sixes and 13 fours. 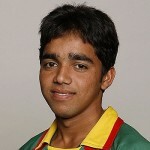 The Kiwis lost a couple of wickets after little associations as Ish Sodhi got together with Watling. The first opted to attack, hit 7 fours in the coming overs and BJ Watling got his fifth Test half century. Sodhi enjoyed his batting with his maiden Test fifty and remained unbeaten for 55, Watling was at the other end at 59 as the visitors hammered 8-419. Shakib Al Hasan was the supreme wicket taker with five whereas Al-Amin Hossain, Abdur Razzak and Nasir Hossain shared one wicket each. New Zealand has taken a vital first innings lead of 137 runs and they are on top with two wickets still remaining.